Bartender Mia Sarazen doing up a Thirsty in LA cocktail at The Churchill. 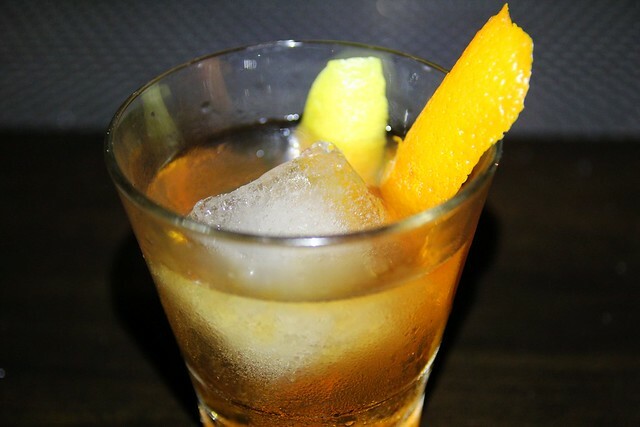 When bartender Mia Sarazen first walked into The Churchill gastropub in West Hollywood, she immediately thought the space could use an Old Fashioned. And looking around at its Edison light bulbs, reclaimed wood communal tables and antique decor, I’d say she’s right. But she didn’t just stop there. Mia’s entire new cocktail menu was basically inspired by the whole restaurant: an Old Fashioned for the dark corners upstairs, a Rye 2 Ways Fizzy and Tall for the outdoor patio in front and an aromatic Thirsty in LA at the bar, of course. Her classic-inspired cocktails have taken the restaurant in a new and better direction. And I got a chance to sample most of them last night at a hosted tasting. The Churchill Old Fashioned: Old Fitzgerald bourbon, “top secret” housemade bitters, sugar. 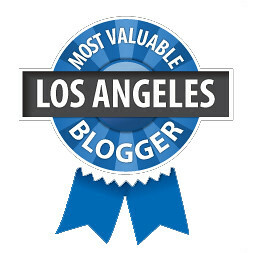 Touted as the best Old Fashioned in LA. If it’s not, it’s pretty darn close. Sweet, potent, warm, beautiful. This was one cocktail we wanted all to ourselves, sample tasting and sharing be damned. 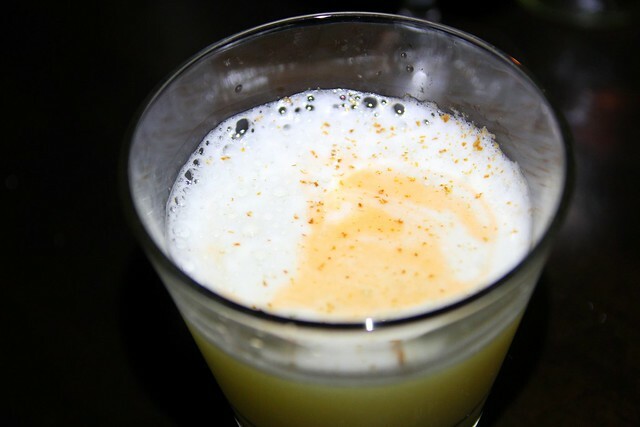 The Grapes of Wrath: Kappa Pisco, lime, pineapple, egg whites, bitters, cinnamon. Pineapple bite with lime. A bit too light for the likes of me. Good starter drink or for day drinking. 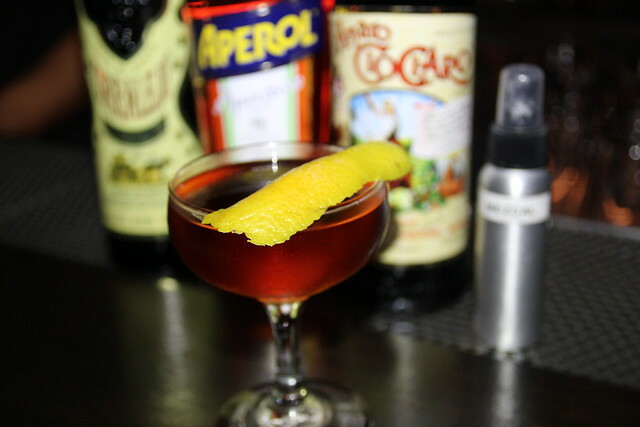 Thirsty in LA: Correlejo Reposado, Aperol, CioCiaro amaro, mezcal spray. For the serious drinkers who can drink like a cocktail blogger named Thirsty in LA. One of my new favorites. Well-balanced and aromatic. Rye 2 Ways: Bulleit Rye, dry vermouth, grenadine, lemon, Allagash White. Choose your own adventure with either a beer or served up. Really tasty, almost cinnamony like red hots. Perfect patio drink on a hot day. Soo refreshing, I could easily guzzle this down. 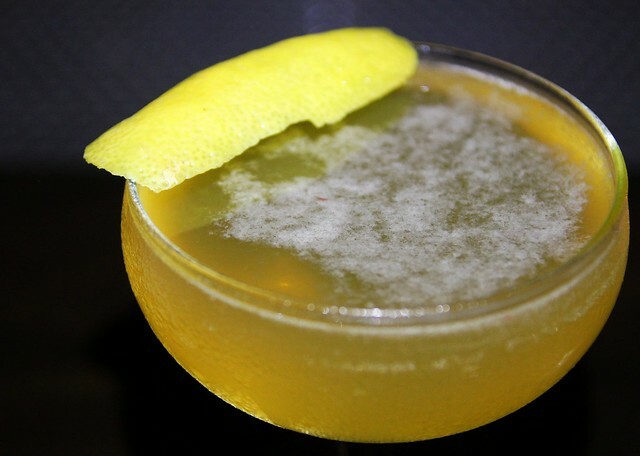 The Statesman: Famous Grouse, apricot, lemon, baked apple bitters, sparkling. Mia felt there aren’t enough scotch cocktails so created this one using one of her favorite blended scotches. Spicy, bright, hint of apple. Cozy up to this one on the patio next to the outdoor fireplace. 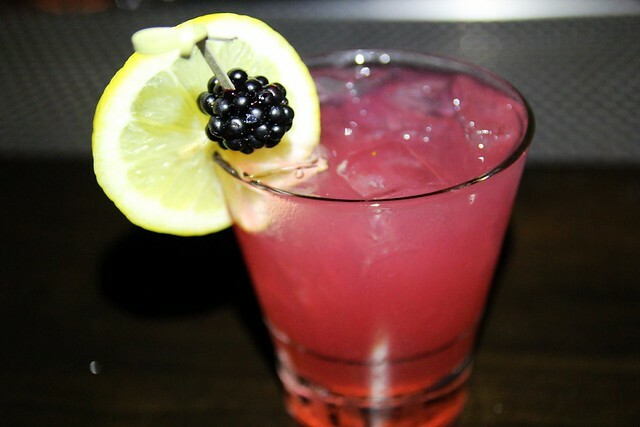 Amelia: Ketel One, lemon, St. Germain, creme de violette, blackberries. Tailored after an Aviation, it’s an approachable cocktail to appeal to vodka drinkers fresh off their Beverly Center shopping spree. Tastes like raspberry tea with kick. 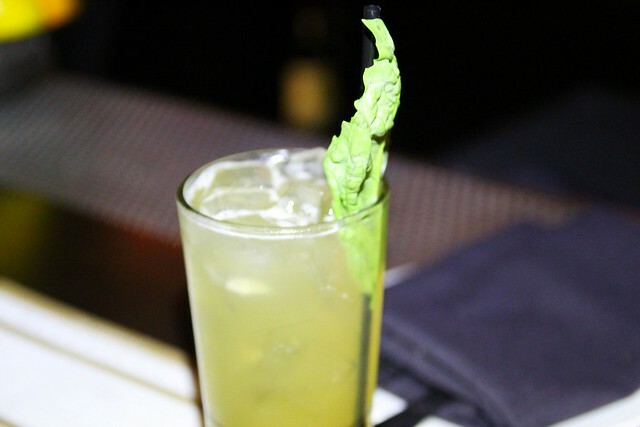 Hyde Park Fizz: Nolet’s Gin, Bonal Quina, honey, lime, basil, cucumber, soda. A sharp, dry gin and tonic softened with cucumber. 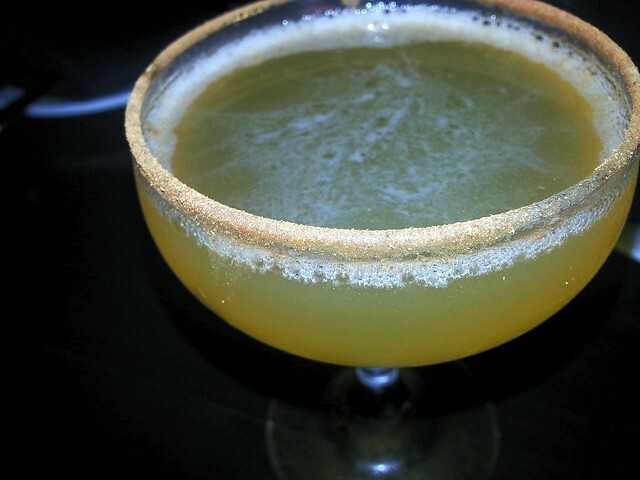 Norman’s Cable Car: Sailor Jerry rum, curacao, lemon, cinnamon and sugar rim. Tastes like Pez candy but in a good way. Surprisingly the sugar rim wasn’t as off-puttingly sweet as I thought it’d be. Mia’s menu is the first in a series of redos The Churchill is going through. Look for a new taps list in a couple of weeks, featuring craft brews! Good-bye, Amstel Light! And Chef Bruce Kalman (The Misfit) is working on a new menu (including a new pizza dough) that will debut in three weeks. Good report, Caroline, but I have one question. 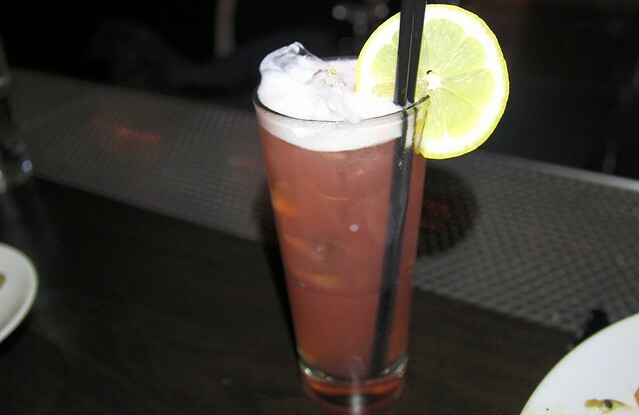 If Thirsty in LA gets a cocktail, why isn’t there a Caroline on Crack on the menu? Guess my name doesn’t make a good cocktail name?